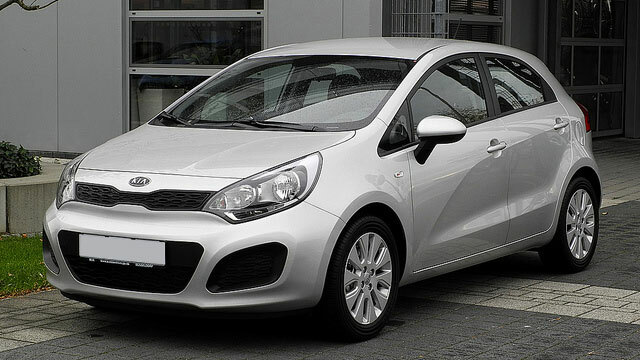 Are you searching for Kia service in Springfield? Look no further than the auto mechanics at Complete Automotive. With a reputation for delivering top-notch auto repair, along with sincerely courteous and kind customer service, it’s easy to see why Complete Automotive is chosen a time and again by Kia drivers throughout Springfield and even beyond. We realize you have enough to worry about, and we don’t want to add Kia service and repair to that list. That’s why we go that extra mile to ensure your experience with us is seamless. While our auto mechanics are fixing your Kia, you can rest and relax in our cozy and comfortable waiting room or utilize our shuttle service. We will walk you through the process, treating you as a member of our extended family. We aim to always be there to lend a helping hand. “A very clean and comfortable waiting area combined with quick service and friendly people make this a head above many automotive repair facilities. And if I were to be in for more extensive repairs there is even wi-fi for communication with work, family or just passing the time. A top-notch experience.” -- Scott C.
At the end of the day, our team at Complete Automotive in Springfield genuinely cares about you, your family and your vehicle. Each auto repair we recommend is geared toward preserving the safety and longevity of your vehicle. From a minor oil service to a complex transmission repair, we are the ones you can count on. For Kia service, schedule an appointment online, call us, or stop by our auto repair shop at 2238 E. Chestnut Expy. in Springfield, MO, 65802.